The easy way to get lawn mowing and more from the top lawn pros in Fort Lauderdale. As always, Timothy leaves our yard looking perfect. It was very convenient that we could skip a mow with the cold weather. The yard is done so quickly and quietly, it never disturbs my sleep (I work night shift). I frequently think our grass looks the best on our block. Thanks again, Timothy! Elijah and his crew provide excellent lawn mowing service at my east coast property. Elijah and his team arrive on schedule and are flexible with changes. They leave the lawn looking perfectly trimmed with the edges done. Elijah and his team come and go quietly, and if you do encounter them, they are polite and professional. If you want a tight, clean, fresh mow, I recommend you hire this team from lawnstarter. We currently have no rainfall data available for Fort Lauderdale, FL. Perform aeration to ensure your lawn can breathe. Especially if your lawn has a lot of foot traffic. No matter what your favorite thing to do is, you'll find it in Fort Lauderdale. Fort Lauderdale, Florida, is home to many fun things to do and sights to see. On top of all the things you can find to explore in Fort Lauderdale, the weather is generally warm and sunny, which is a total bonus! If you are the type that likes to relax on the beach with a cold drink in your hand, you can find peace at one of the many beaches in Fort Lauderdale. Of course, if you get tired of lounging, you can enjoy the ocean or indulge in beach activities such as sand volleyball. If you don't see a beach day in your future, not to worry, there are plenty of other things to do in Fort Lauderdale. One of these things is to explore the city's rich history. Fort Lauderdale is home to the Fort Lauderdale Car Museum which will transport you back in time through old historic cars. If you chose to visit the Stranahan House you can learn about the history of the city. The Bonnet House Museum and Gardens is also a beautiful place to learn about Fort Lauderdale's History. Fort Lauderdale is also home to the Naval Air Station Fort Lauderdale Museum which is worth a visit if you are interested in aeronautics. Along those lines, the Museum of Discovery and Science is also located in Fort Lauderdale Florida. If you are in the mood for boating, you'll find a multitude of options in Fort Lauderdale. You can board the Jungle Queen and take a river cruise for a day cruise or join them in the evening for a dinner cruise. Other options include the Fort Lauderdale Sight Seeing Cruise, Fort Lauderdale Water Taxi, or the Riverfront Cruises Venice of America Tour. No matter which boat you choose, you will have the opportunity to experience the beautiful area of Fort Lauderdale from the water. If you are in dire need of a day of shopping, look no further. Fort Lauderdale is home to a variety of shopping malls so you will be able to cross off everything on your shopping list (and more!). When you are out and about shopping, be sure to stop at Las Olas Boulevard for a unique shopping experience. You'll find yourself immersed in the local culture with eclectic shopping and local cuisine. Galleria is your best bet if you are looking for a nice day at the mall with traditional large chain retailers. If you don't find what you are looking for there, you could pop over to Coral Ridge Mall as well! If you are craving a bit of nature, there are plenty of ways to get your fill in Fort Lauderdale. The first of which is the Riverwalk where you will have the opportunity to expereince nature as well as the beautiful architecture the city has to offer. Another great option is Hugh Taylor Birch State Park where you can relax and enjoy a nice view of the city. With the mention of all of the fun activities and sights to see in the area, wouldn't it be nice to live in Fort Lauderdale? A lot of people are already taking advantage of all the city has to offer and have found a place to call their own in Fort Lauderdale, Florida. If you are already living in Fort Lauderdale, you may have noticed that everyone keeps their lawn in prestige condition. This may seem like an easy task, but it takes more time than you think! If you feel like you are wasting time tending to your lawn that you could be using to explore your city, you should check out LawnStarter. LawnStarter is an online ordering service where you can order a professional to do your lawn care work! Get a quote in seconds: Look for the “Order Service” button on this page and find out for yourself how easy it is to let LawnStarter take care of your lawn. A top pro will do the work: With our licensed and insured lawn care professionals on the job, your lawn will be the envy of your friends, family and neighbors. We're here to help: Online or on the phone, our awesome customer service team is ready to serve you. We care as much about your lawn as you do. You relax and enjoy Ft Lauderdale: Lawn care is no sweat when you let LawnStarter do the work. Sign up today, and you'll never have to touch a mower again! Once you set up the initial appointment, you can manage further appointments through our app on your smartphone. Customer service is available seven days a week and you have the ability to rate the work that has been done for you. If the work is not up to your standards, you have the option to request a different professional for your next appointment. Another great perk about LawnStarter is that you can schedule your appointments and then forget about it! If it rains, LawnStarter will contact you for a time to reschedule. They'll even let you know when your service is completed. If you have any questions, you can message the professional that will be tending for your lawn through the app. This takes the stress out of lawn maintenance! LawnStarter also has insurance so you will have peace of mind knowing that the professionals who are lawn mowing for you know what they are doing. Chris Butler is a Fort Lauderdale native and been working in the area for quite some time. He has a group of small and loyal customers and joined LawnStarter to help take his business to new heights. Shihi Williams is the founder, owner and proprietor of Williams and Williams Lawn Care. They'll go the extra mile when it comes to lawn maintenance, leaving your lawn looking the best on the block. They are known for making lawn of the month winners. Jose is a top-rated LawnStarter pro in Fort Lauderdale. His customers repeatedly praise him for attention to detail and responsiveness. He'll mow your lawn, trim your edges, and pick up all debris, leaving your lawn looking great. Awesome job - they bagged the leaves, as requested, and everything looks great! Awesome job thank you so much sorry for the late response. Thanks for all you do. Robert always does a great job on my yard. I've been using him since I moved to The Colony at the end of February, and not once have I come home disappointed on my mow day. His attention to detail is fantastic. Hes always quick to communicate if the schedule needs to be adjusted, which I greatly appreciate. He's a pro and a professional. Thanks, Robert! This was my first time using LawnStarter and Bryan did a fantastic job. Thank you! Grass was uneven in places of my backyard. He never disappoints!!! SHERMAN always does a great job! Bushes look great -- thanks very much. Walter did a great job. He did a great job, everything was clean and looked professional. Very professional! Prompt and accommodating! Thank you! Mike and his team are awesome!! Merry Christmas and Happy Holidays! Great job! Very happy customer! Was really happy how my porch was free of leaves, etc! Pedro actually listens, mows how I want it done. He takes pride in his work, my lawn looks better than it ever has before. LawnStarter pros will let you know what your lawn needs. Here are some recent recommendations for extra lawn services in Fort Lauderdale, FL. Description: Full yard Treat lawn with weed killer entire lawn and spray beds and tree rings with grass killer spray driveway cracks for grass walkway cracks and beds. Description: Front yard Hand pull all weeds from rock beds in the front yard. Description: Clean up and haul off both piles of tree branches and sticks. Inside back yard and on side of house. Items Needing Service: I would like to remove 2 trees from my lawn - one crepemyrtle in the front yard and one pomegranate tree in the backyard. Please note, I have a sprinkler system that will need to be accounted for upon removal. Items Needing Service: Gather and remove leaves from my property. Serviced by: Jeremy Doyle's Lawn Maintenance LLC. Items Needing Service: There's a short line of vines that grow over my neighbor's fence along the front part of my driveway that need to be kept cut back to the fence line. Work to be Done: Trim vine overhang at fence line. Items Needing Service: Bush or weeds growing around a tree in the front yard needs to be cut. Additionally, trim all surrounding bushes of the house. Items Needing Service: Leaves from the sycamore tree in the back yard. Location on Property: Most leaves are in the back yard, some on other side of fence in the side yard. Work to be Done: Removal of leaves. With over 15 years experience, Timothy is one of the Fort Lauderdale area's top home and garden maintenance gurus. He primarily does lawn service but also offers flower bed cultivation, tree trimming, and more. #2-Jeremy Doyle's Lawn Maintenance LLC. Jeremy Doyle's Lawn Maintenance LLC. is one of Fort Lauderdale, FL's top landscaping authorities. Need tree removal, lawn service, weeding or something else? Look no further! Are you wanting to hire a punctual gardener? J. Huang's Lawn & Garden is proficient in handyman work, aeration, and grass cutting throughout Fort Lauderdale. #6-Gallegos's Lawn And Landscape Inc.
Gallegos's Lawn And Landscape Inc. has serviced Fort Lauderdale, FL for over 15 years. Friendly and professional, Gallegos's Lawn And Landscape Inc. handles lawn service, leaf blowing, and tree pruning. They also offer concrete washing. Curtis's Lawn Care Service specializes in lawn maintenance, but also commonly provides irrigation maintenance and pruning. We are also one of the few home and garden maintenance services in Fort Lauderdale that commonly provides organic lawn treatment. You can rely on Curtis's 20 years of expertise! Do you need a quote from a reputable lawn business that can handle detail oriented lawn care in Fort Lauderdale? Then Kerry and his crew are your solution! Seeking a low cost grounds service? Randolph's Garden Services LLC. is a grounds service that provides clients lawn maintenance, landscape installation, and gutter cleaning throughout the Fort Lauderdale area. 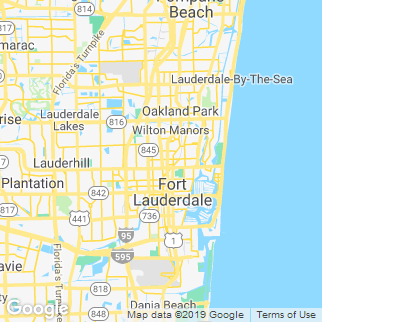 Rodgers's Lawn Solutions INC has been servicing Fort Lauderdale for over 5 years. Miguel prides himself on being results focused, responsive, and offers lawn mowing, lawn aeration, and even tree pruning at affordably priced rates. Torres's Lawns has been offering service in Fort Lauderdale for 5 years. We're the capable lawn care business that truly cares about providing economical service. Whether you need lawn service, leaf removal or tree planting, our pros can handle it! Are you looking a landscaping service that handles top grade work? Schmitt's Lawn And Garden INC handles lawn mowing as well as pest control, flower bed cultivation, and more throughout Fort Lauderdale. Looking for a professional lawn mowing service? G. Gallagher's Lawns is a lawn mowing service that is known for lawn care, pruning, and landscape installation. They can also provide quotes for pest treatment upon request. Vernon Wang's Lawn Care Service is one of Fort Lauderdale, FL's top landscaping professionals. Need shrub trimming, lawn work, flower bed cultivation or something else? Look no further! Searching for a reliable landscape installation company? Jonathon's Lawn Treatement is a landscape installation company that is proficient in lawn care, flower bed installation, and irrigation inspections. They can also provide quotes for concrete washing upon request. Mclean's Lawn And Garden has been offering service in Fort Lauderdale for 12 years. We're the honest gardening company that truly cares about providing premium service. Whether you need lawn work, pest control or handyman work, our pros can handle it!